Once installed, it is vital that guardrails and handrails continue to offer the highest level of safety, and the best way to ensure this is by using the highest quality components. In areas where climate or weather is harsh, the probability of handrails failing increases dramatically, especially when the rails themselves are of the fabricated type. With fabricated rails, initial holes are cut for fitting, which breaches the railing’s anti-corrosion coatings, and this is then further compromised by welding. 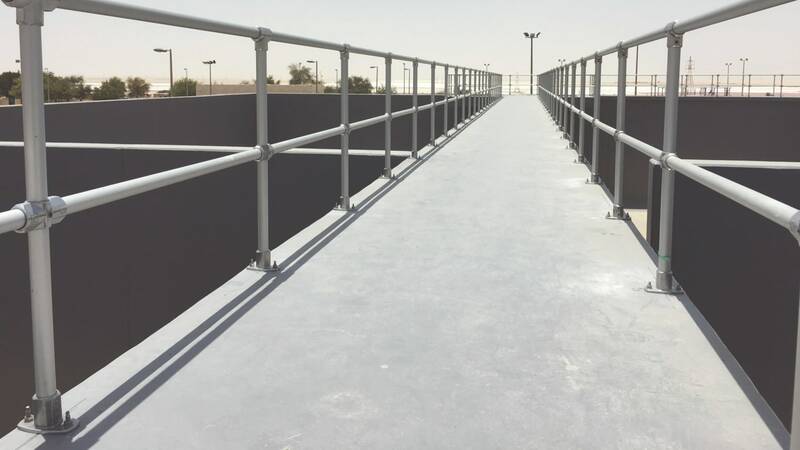 Corrosive and harsh conditions will inevitably eat away at the material of any guardrail, but with fabricated railings, the structure itself actually becomes a hazard once it is weakened sufficiently. Once fabricated guardrails and handrails become damaged, the only way to repair them is by cutting out the problem section and welding in a replacement. What if water comes into the game? Kee Klamp® fittings offer a strong and durable solution to separating people from hazards, are more resistant to corrosion and can last up to seven times longer than fabricated barriers and handrails. They also eliminate the need for welding, cutting, threading or bolting and remove the need for skilled labour and permits for work. Even in an incredibly harsh environment, such as the area surrounding Niagara Falls, fittings have been known to survive for half a decade. 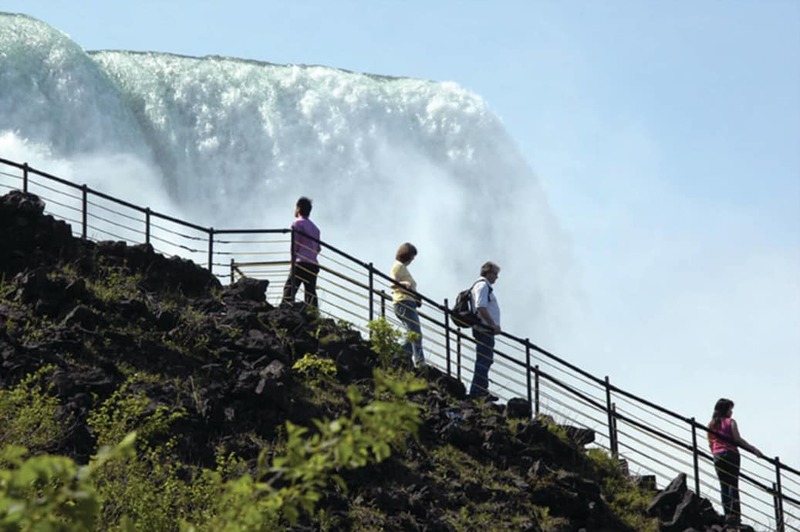 Bob Ciocco from Niagara Falls State Parks said: “We are 200 feet above the river at the observation deck of the Maid of the Mist. We use Kee Klamp as a guardrail system known as the Crow’s Nest, we use it to keep the public safe from wandering off too close to the falls and getting caught on sharp rocks. Kee Safety has the ability to also supply off-the-shelf anodised Kee Lite® fittings and tube. Anodising provides the extra corrosion protection needed for the harsh environments like the Middle East. Kee Lite® fittings are made from high grade Aluminium Silicon Magnesium Alloy (A356-T6) which provide for a lightweight, corrosion resistant, and strong alternative for fabrication of tubular structures. Due to the superior corrosion resistance, Kee Lite components offer extremely low maintenance in outdoor settings. Kee Lite components are only one-third the weight of our iron components, with about 75% of comparable tensile strength. Kee Lite® components are installed using only a standard hex key – no threading or welding required. No headaches about hot-permits, specialised labour or equipment. A standard hex key and tube cutters are the only tools required to create strong, rigid structures. Recessed grub screws, tightened by the hex key, firmly lock the tube into the fitting. No pre-fabrication of tube structures in shop – everything can be assembled and built on site. They are also reusable should you wish to dismantle or redesign your structure. With fittings from Kee Safety you can be confident people are fully protected and separated from hazards, whilst saving time and money thanks to the quick and easy installation.